Minimal Mistakes is a flexible two-column Jekyll theme. Perfect for hosting your personal site, blog, or portfolio on GitHub or self-hosting on your own server. As the name implies — styling is purposely minimalistic to be enhanced and customized by you. The theme includes responsive layouts (single, archive, and splash pages) that look great on mobile and desktop browsers. 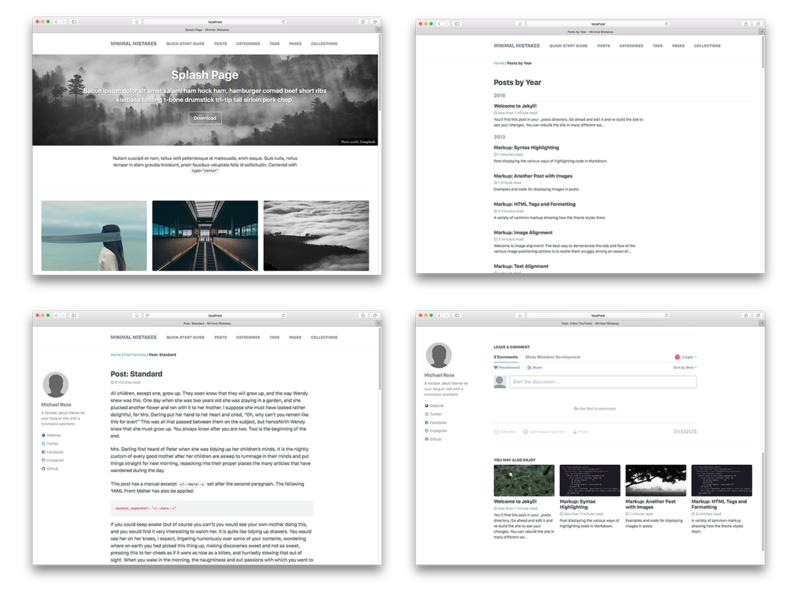 Optional header images, sidebars, table of contents, galleries, related posts, breadcrumb links, and more.